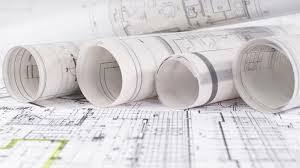 Architects preparing building plans for food handling establishments and food processing plants are urged to present detailed drawings and specifications on plumbing and liquid waste disposal when submitting plans for approval. Acting Chief Environmental Health Officer, Mrs. Yolanda Penn, said plans are being submitted to the Town and Country Planning Department that are lacking certain vital components which are needed to expedite the approval process and aid decision making. Mrs. Penn stated that detailed drawings of septic tanks or other suitable liquid waste treatment systems should outline volume, dimension, and location of systems relative to buildings and must clearly show setbacks from boundaries, ghuts and water bodies. The Acting Chief said if plans are submitted with the necessary information it will save time and ensure that all works are completed properly from the start. She said this will reduce future problems of failed systems which not only can impact the owner but the wider community because of the offensive odors, pests and unsanitary conditions that can result. The Environmental Health Division and the Town and Country Planning Department along with persons from other relevant authorities including Public Works, Conservation and Fisheries, Fire and Rescue, Royal Virgin Islands Police Force, Disaster Management, Land Registry, Survey Department and Water and Sewerage are responsible for reviewing building plans to be considered for approval. The Environmental Health Division is committed to ensuring that all aspects of the environment with the potential to negatively impact health are managed efficiently to enable all persons in the BVI to attain and maintain optimal health and social well-being.